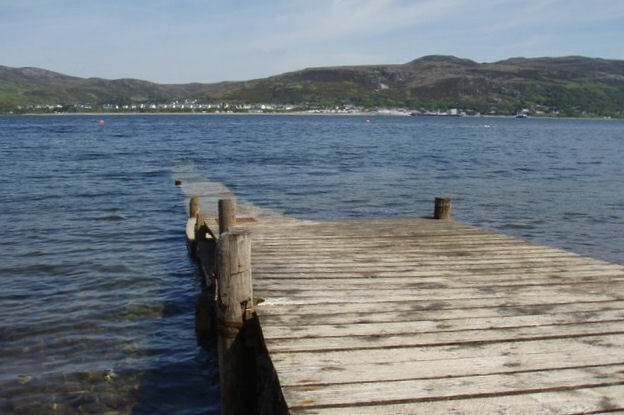 This jetty used to provide access for the passenger ferry from the Am Pollan slipway in Ullapool, to the south shore of Loch Broom. But in 2003 the Altnaharrie Inn (the former ferryman's residence) was sold and is now a private residence. No ferries have operated since then. The jetty is owned privately, presumably by the current owners of the former inn.